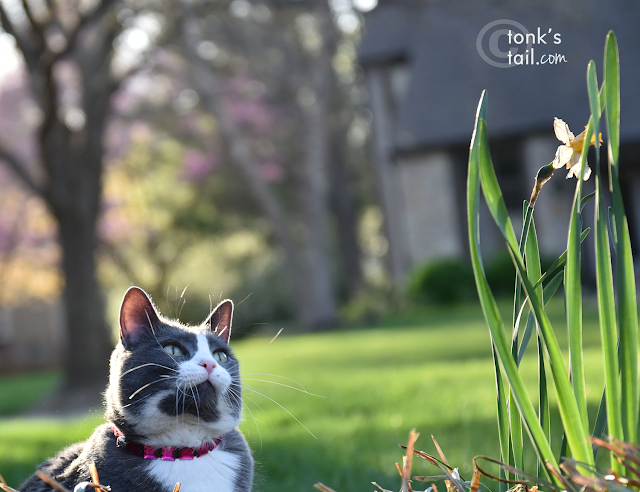 A Tonk's Tail... err, Tale...: Happy Earth Day! Shouldn't we all be good stewards of the world in which we live? At least until we figure out how to travel to other worlds. But even then, who would want us trashing their backyard, too? Oh Allie, when will humans start really listening to us? We better get THIS one right or we'll just make a mess of the next world we visit. That picture is perfect for Earth Day, Allie. You know, I think if it was up to us cats to travel to other worlds we might never get there - all the naps and everything. You're such a wise little lady! Beautiful photo, and wise advice! Such a beautiful photo! You're a smart ladycat too! I do my part to water as many plants and trees as possible on my walks. So true.... Happy Earth Day! Excellent post. Happy Earth Day! What a wise girl you are, Allie. Happy Earth Day to you and your family! Allie, you are a very wise kitty. Furry much to the point, Allie! Purrty picture too!